It was celebration time again at Falmouth School, as the class of 2018 reunited last week for the GCSE Celebration Evening. Falmouth School students once again achieved results which place the school highly in all categories in the government’s school performance tables and well above national averages, with a first, two seconds a third and a fourth place among the 31 state secondary schools in Cornwall. As always, there was a lovely atmosphere for the evening, as students and their families were greeted with refreshments, whilst memories of their school years played back on the big screen. As the formal part of the evening got under way, there was also a chance to look back at the best bits from GCSE results day and the prom, which also included an amusing first look at pictures from inside the photo booth! All students received their GCSE certificate packs, along with awards for those students who had excelled during their time at Falmouth School for English, maths, science, geography, history, languages, creative arts, sport and technology. 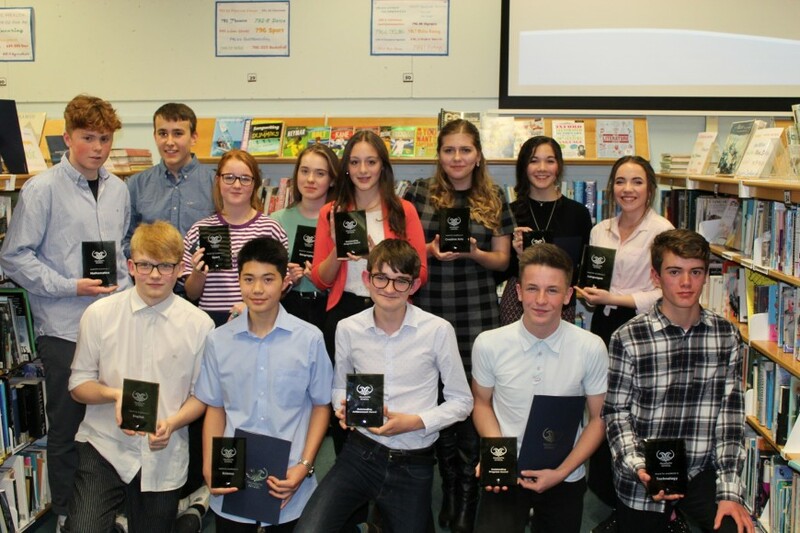 The final awards of the evening were for outstanding achievement and outstanding progress across the five years. The night was a massive success, with Head of School Alex George, saying “we were delighted to see so many students and their families attend the GCSE Celebration Evening this week. The students were part of an outstanding group of young people who achieved so well at the school. All of the staff at the school really enjoyed sharing these successes with the students on Wednesday night and wish all of our students, past and present, every success,” he said.